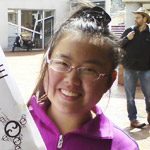 Rose is a Chinese student of Geography at Victoria University of Wellington and one of our longest-serving bloggers. Hey, everyone! This is Rose here. 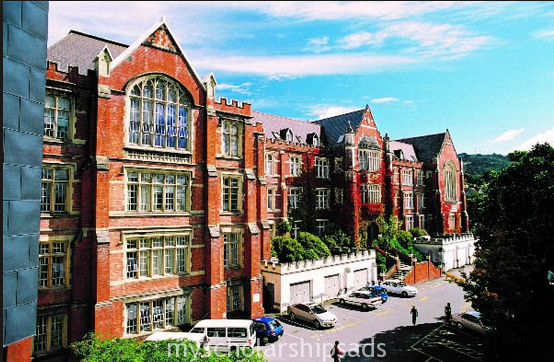 I am an international student from China and I am currently studying at Victoria University in Wellington, New Zealand. I am a second-year undergraduate majoring in Geography. I have been here for almost 3 years because I did a one-year Foundation study. The Foundation Course is a programme that helps you prepare for uni – highly recommended, by the way. But the real uni is much harder than the Foundation programme though. Time is just passing so quickly when I look back, I can not believe that 3 years have passed! This is my first entry for the blog and I would like to talk about my life recently because I can write a book about my life in those three years! The biggest event happening here at the moment is the Rugby World Cup (RWC) which is the third largest sporting event in the world. I think the first is the Olympic Games and the second biggest is the football World Cup! People here are crazy about rugby and this is the national sport, so Kiwis are proud! I am not so interested in rugby itself, but I like to go out into town those days to feel the atmosphere of the crowd and the awesome fans! In addition, I can see lots of people from different countries performing in the street as well. As a Geog student, I like to feel the different cultures here. You can already see the different cultures even before the RWC in cafes, restaurants and people from all over the world! By the way, the rate of the rising number of cafes in Wellington is the fastest in the world, every time I go to town, there is a new café! And coffee lovers say that the coffee in Wellington is the best in the world – anyway, that’s another story. The most exciting event for me is the South Africa music festival which finished a couple of weeks ago. I love African culture because it is so diverse and exciting! Although the people there suffer from poverty, they have such a diverse culture and music styles and the most beautiful heart! I tried some African food, it was really awesome! I love spicy food! The other upcoming big event is the election in November, so you can see lots of campaigns and debate in the street. Really interesting! There are lots of fundraisers for the election campaign as well. I love the topic of aid and development and climate change, so I went to a political debate about NZAID a couple of weeks ago. I will go to another one about climate change next week! Looking forward to it. It is unfortunate that I can not vote because I am not a New Zealand citizen, but if I could vote, I would definitely vote for the Green Party because they support sustainable development. I like their election campaigns which include solving child poverty (which is a big problem here) and cleaning the rivers. The other interesting event last week is the so-called “Occupy Wellington” protest. I am a strong supporter of that because of the inequality here and in other capitalist societies. These are the supporters of the Occupy Wall Street campaign – I guess the number of supporters will grow because it is a growing problem here! Anyway, I will probably stop there. Oh, I just realized I did not write anything about my study life here. I will probably talk about it in my next entry. Feel free to comment and ask me questions, would love to hear from you! Hope you are all happy and fine! Haha! Previous articleHave You Met Prestine?